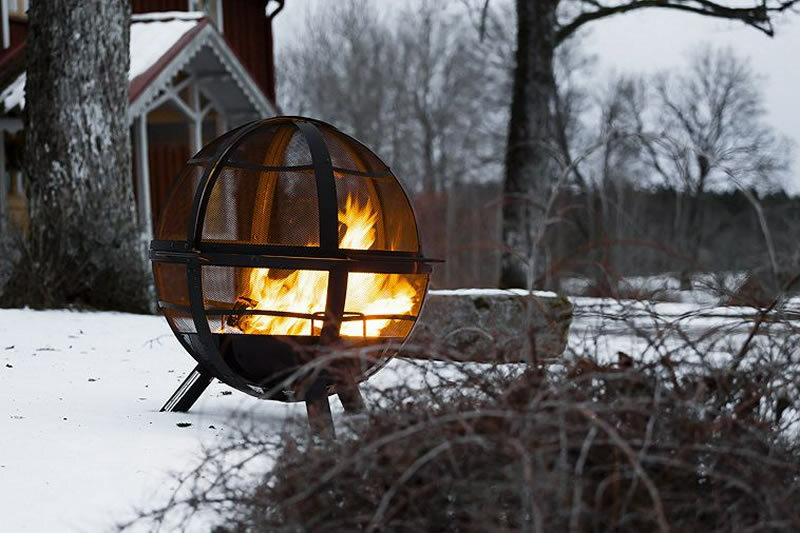 The latest Weber fire pit product is the new Weber Fireplace, a heavy-duty steel coated fireplace with a porcelain enamel that won’t rust or tarnish. 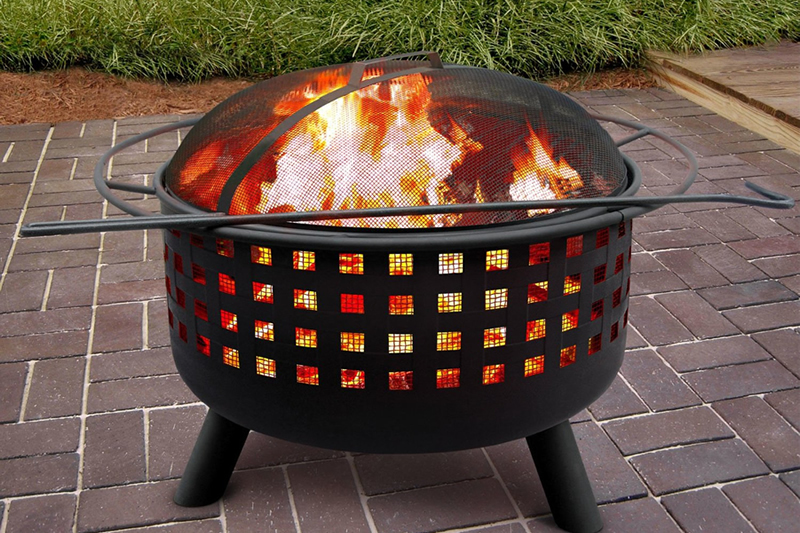 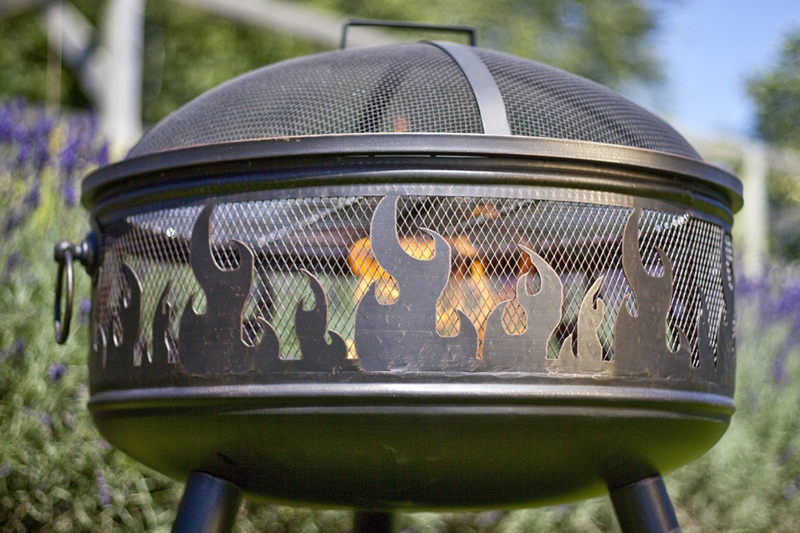 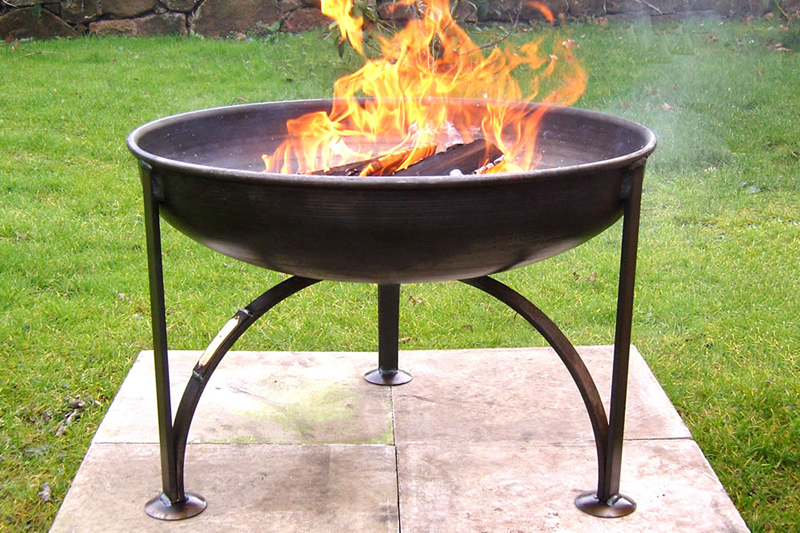 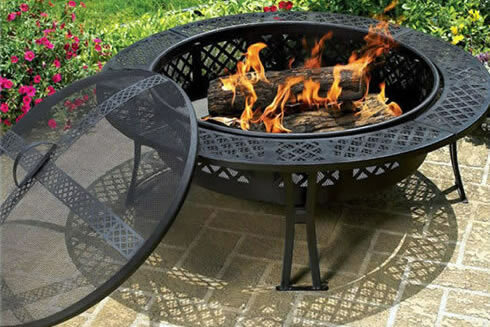 This is a premium, quality fire pit that is built to last and features a rust-resistant finish on the legs plus a rust resistant aluminium heat shield and a galvanised steel support ring. 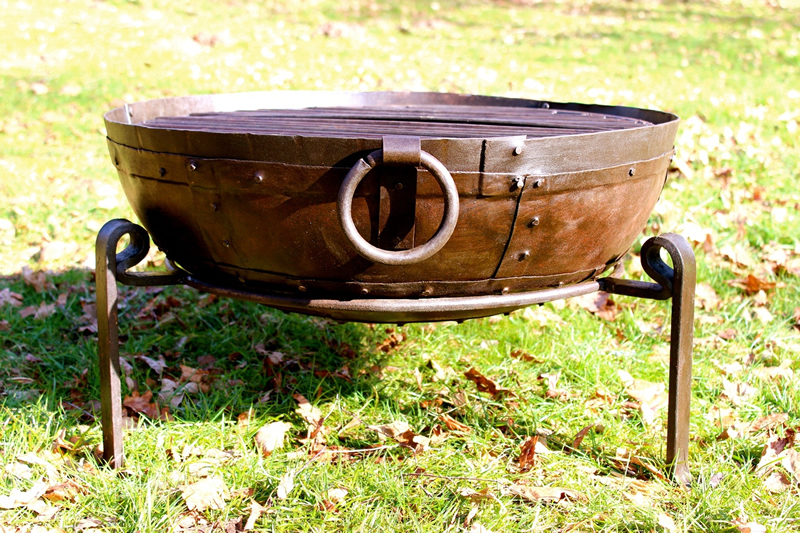 This item does the job of a medium sized chimenea, providing warmth on cooler nights but with a handy lid which sits over the fire when it’s lit so most of the heat gets forced out around the fireplace warming everyone instead of going straight up. 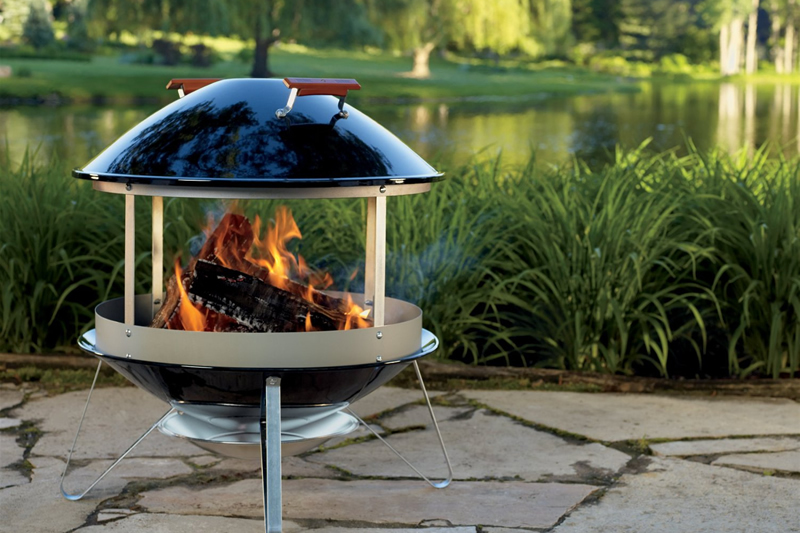 You can sit six people around the Weber firepit easily and keep the entire group warm. 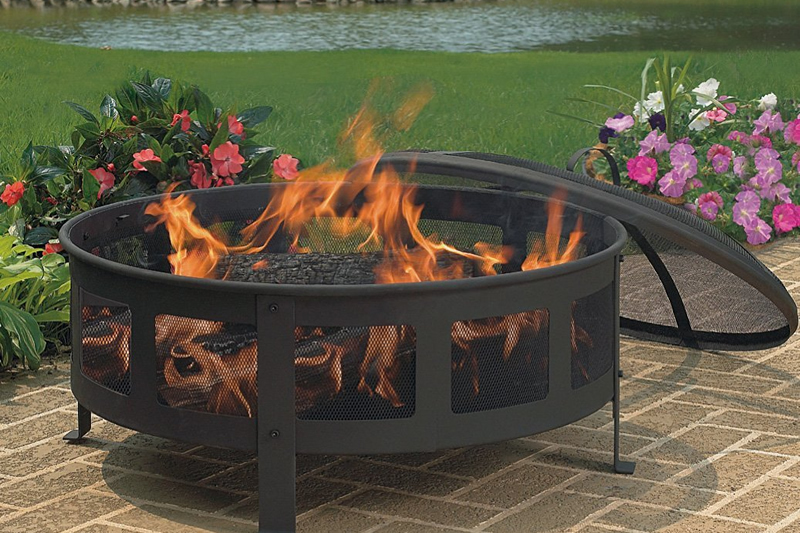 When the fireplace gets going it looks really good, plus it will keep your patio or garden cleaner as the ashes don’t blow around in the wind. 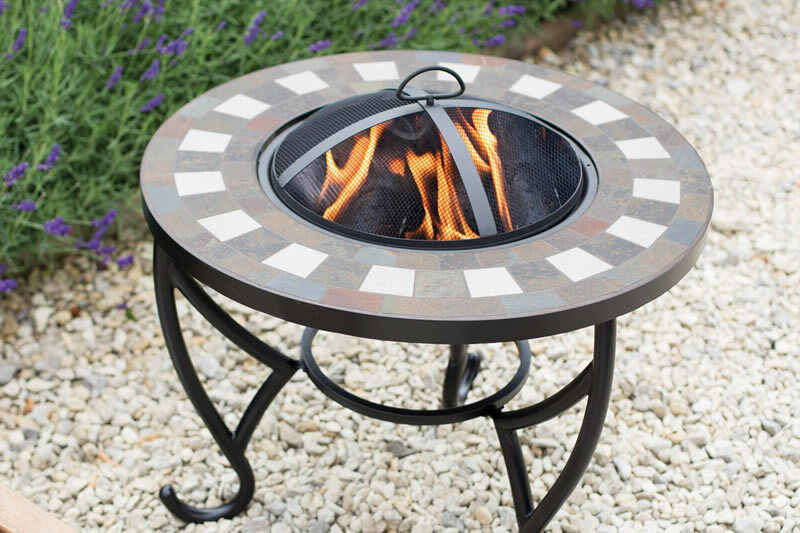 The fireplace needs some easy assembly when it arrives, but most will have the unit assembled and a fire burning within 20 minutes. 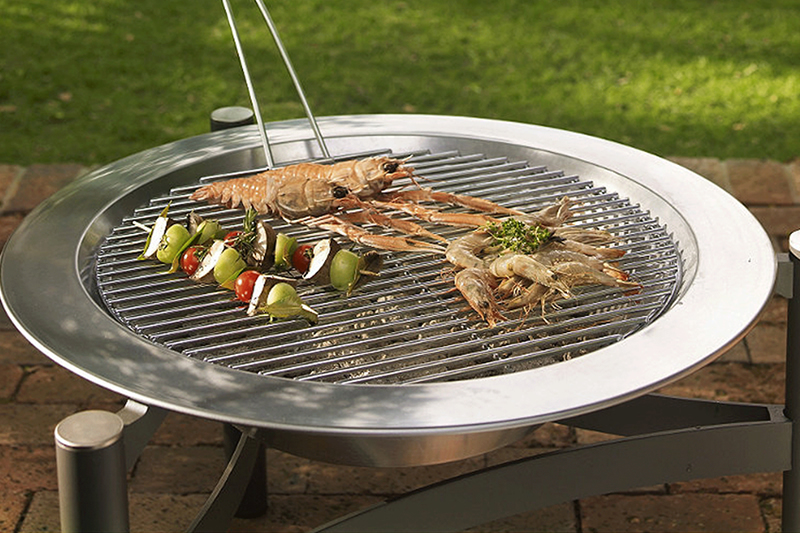 Please note however that this not a barbecue and not designed to cook food on at all – though no doubt it will toast marshmallows nicely!